Eat plants, animals, fungi and insects. Live in forests and woods. The Black Bear can be found in the United States. The Asiatic Black Bear is found in Asia. The Brown Bear can be found in Eurasia and Canada. The Brown Bear will put on about 30 pounds a week before hibernating. Bears whose brow fur is tipped with lighter-coloured hairs are called grizzly bears. Can sense food from 18 miles away. Have a bite that is strong enough to crush a bowling ball. Black Bears are always born in January. The Giant Panda Bear likes to eat fish, but will also prey on wounded and injured animals Bears live in China. A newborn Panda is smaller than a mouse and weighs about four ounces. If twin Pandas are born, the mother chooses only one to raise. Has a lifespan of approximately 20 years in the wild - 25-30 years in captivity. Newborn Giant Pandas weight less than a cup of tea. Spend 12 hours a day eating bamboo. In China, killing a Panda is punishable by death. The two Pandas in Edinburgh Zoo eat £40,000 worth a food a year. Red Pandas east bamboo shoot, roots, fruits, acorns, insects, birds' eggs and other small animals. Red Pandas use their bushy tails as blankets to help keep warm. Are carnivores and eat seals and fish. 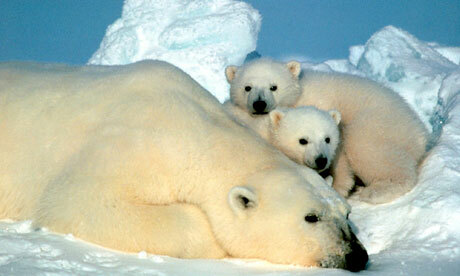 Mother Polar Bears are too busy to eat for eight months after their cubs are born. Are descended from brown bears that lived in Ireland over 10,000 years ago. Can smell a human or a seal from 20 miles away. Can swim 60 miles without stopping. Can be found in the Arctic. The cubs cannot sea or hear for the first month after birth. 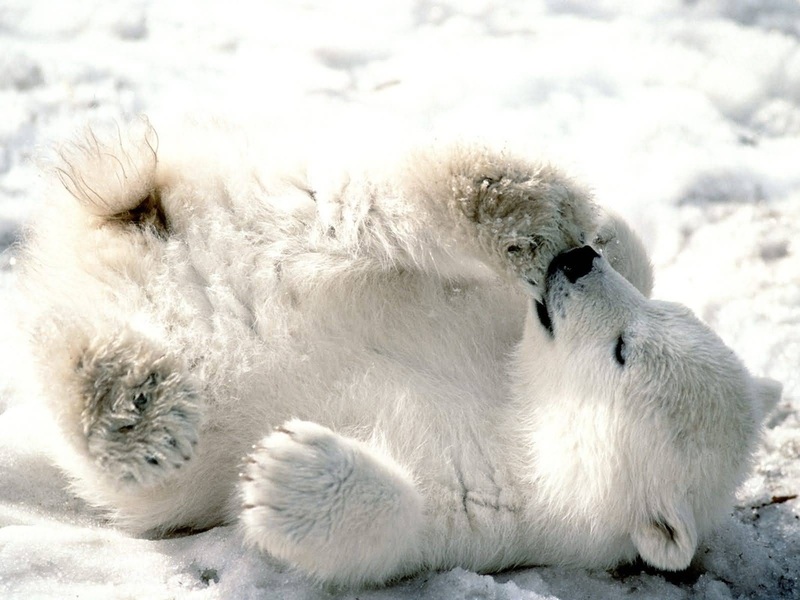 The average age of a Polar Bear in the wild is 17 years. Under their white coats, the Polar Bears have a black skin. Two-thirds of the world's Polar Bears live in Canada. Cannot be seen by using night vision equipment. Are the biggest land predator. Eat dolphins and freeze the leftovers. Lives in the forests of South Asia. Has am extremely shaggy black coat and a cream-coloured snout. Is a busy and noisy bear and grunts and snorts as it pulls down branches to get the fruit, dig for termites or snuffle under debris for grubs and beetles. 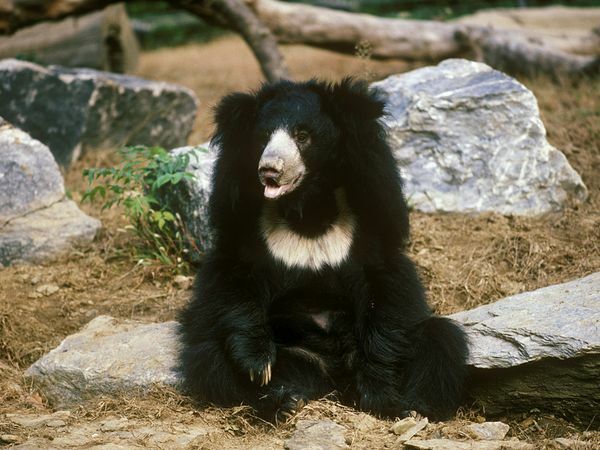 Threats to the Sloth Bears are wild dogs, tigers and leopards. Are the smallest of the bear species. Have the longest tongue - about 18 inches long. Chews wood with large canine teeth. The male has shorter fur than the female. The baby will stay with its mother for about 2 years. Main predators are tigers and pythons.